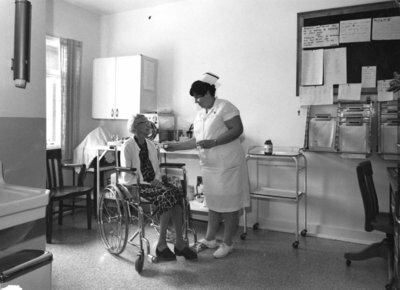 A black and white photograph of the therapy room at Fairview Lodge B. Wing. Therapy Room Fairview Lodge B. Wing, c. 1960, Lenscraft. Whitby Archives 07-006-020.